Finding the perfect house or apartment can make you feel excited and giddy. You’ve found the perfect house and you just can’t wait to bring in your stuff and seal the deal. However, before calling in the moving van and hauling your stuff in, one should always make sure that paperwork for a lease is covered to avoid having misunderstandings down the road with the landlord. 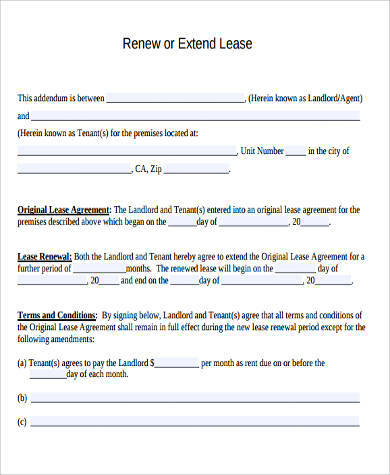 Using a Lease Form allows both renters and landlords to establish an agreement between the lease of a rental unit. Verbal agreements are a thing of the past and in a world where people forget and memories can easily fade, agreements just cannot be done anymore with the mere shake of hands. 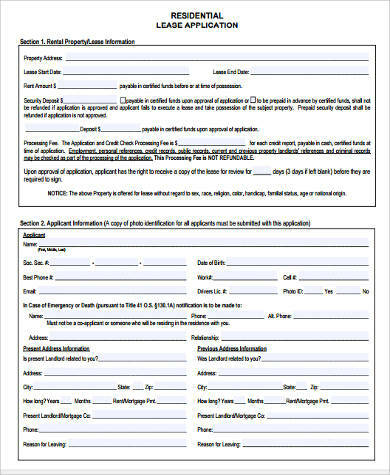 We have come up with an array of Residential Lease Forms that will cater to your needs. 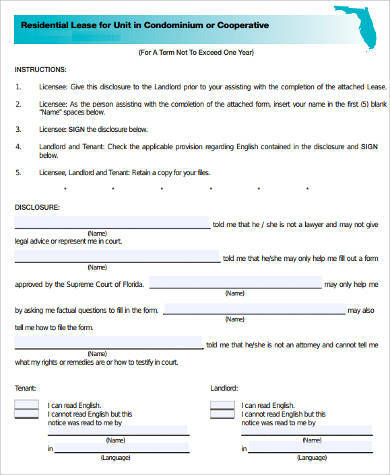 When moving into a leased space, it is crucial that certain terms and conditions are set to serve as a reference guide for both you and your renter when disputes or misunderstandings arise. 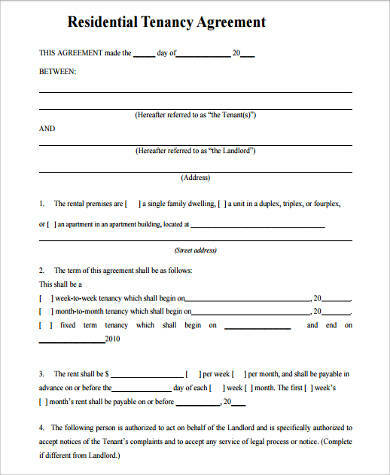 When a landlord and a tenant have agreed on the terms and conditions for renting out a residential space, both parties have to affix their names and signatures on the agreement as a sign of willfully agreeing with it. 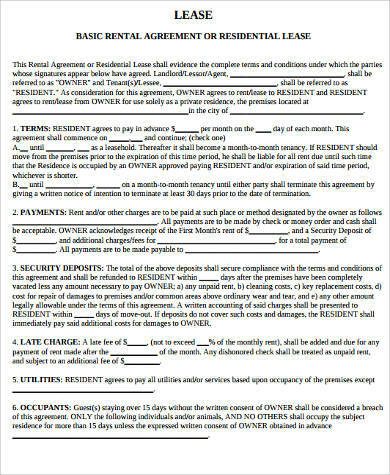 Residential Lease Agreements are legal and binding. 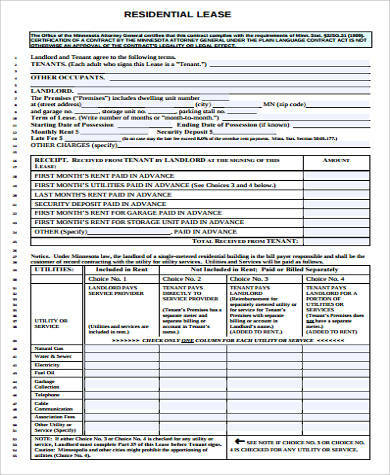 Both parties are obligated to comply with the conditions being outlined in the agreement; otherwise, disputes can arise and may lead to legal proceedings. 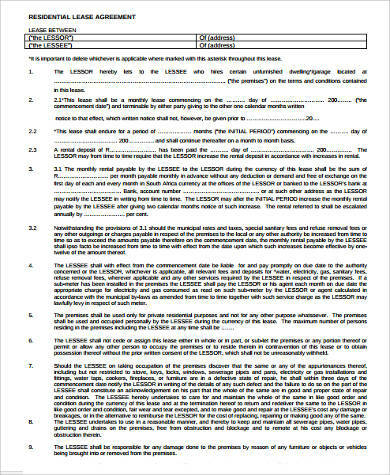 The responsibility for paying the cost for the maintenance and repairs to the property should be stated in the Lease Form. Some landlords indicate that the cost for maintenance and repairs should be done by the tenant if the damage was incurred by the renter. Security Deposit are usually required by a landlord at the beginning of a lease and may be used by a landlord to cover for expenses on maintenance and repairs, especially for damages incurred by the renter. Yes, the property might be under the landlord’s name; however, as a paying tenant, a renter has the right to privacy within the property he is paying for. 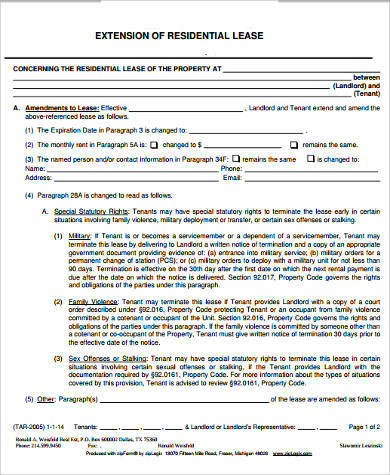 Lease Agreements should indicate a clause that guarantees a renter’s privacy and if the landlord ever needs to enter the leased property for emergency purposes, he must first obtain authorization from the renter. 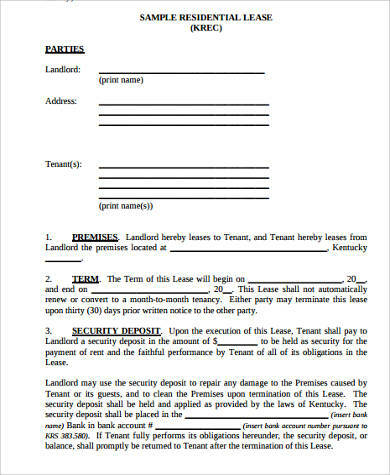 Tenants and the landlords may want to terminate a lease agreement before it even ends. Terminating an agreement may be mutual or may arise when a portion of the agreement’s terms and conditions have not been met. 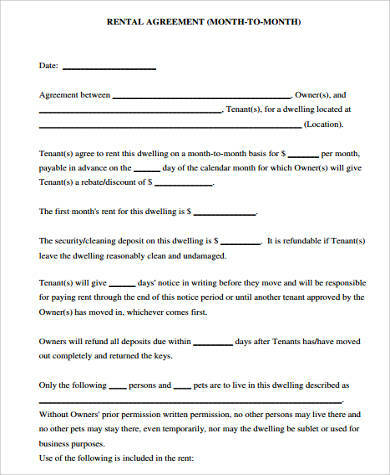 However, as with other contracts, terminating a lease agreement has to be done in a clearly documented process to avoid disputes or lawsuits.